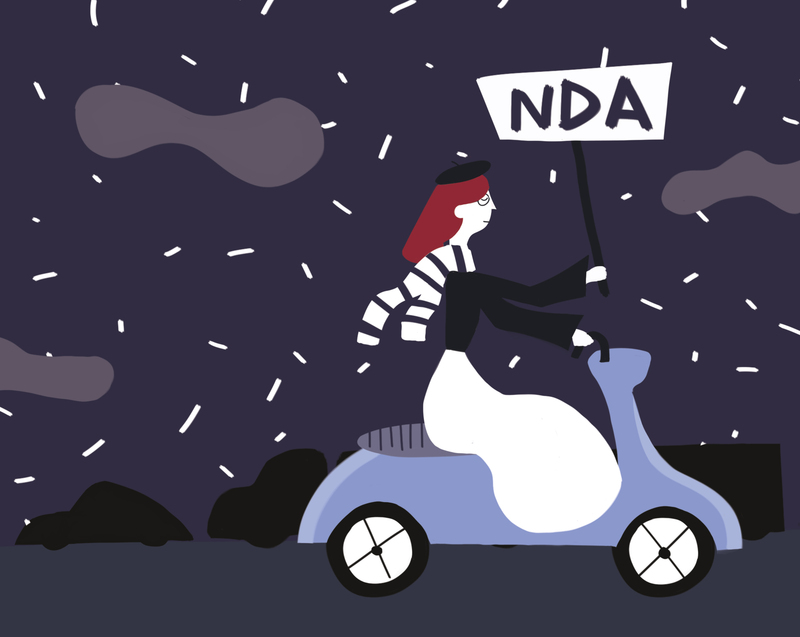 Should You Sign NDA that Before Mobile Application Development start? 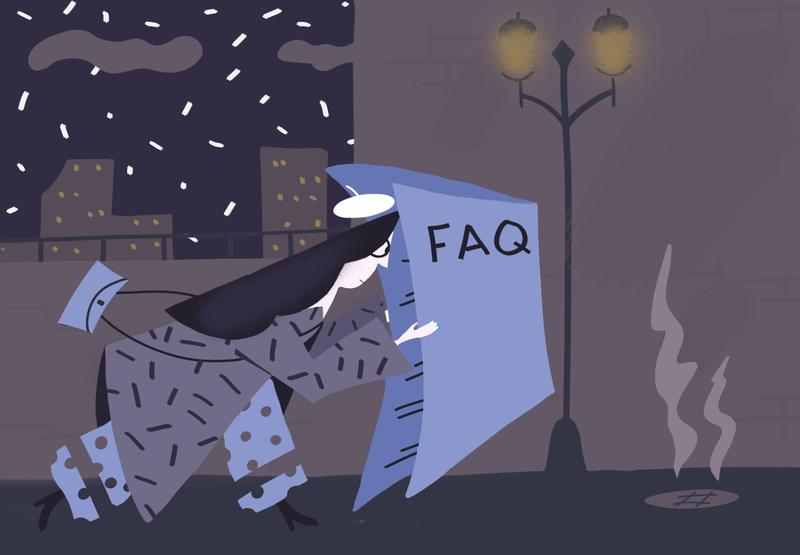 First Issue: What is the Non-disclosure Agreement? Second Issue: Which counteragent should I choose in order to ratify the Non-disclosure Agreement? Third issue: When it is better to ratify the Non-disclosure agreement? Fourth issue: Does some unified pattern exist? Fifth issue: What structure parts are obligatory to use in the pattern of your Non-disclosure agreement? Before we start, it’s better to make sure we are on the same page and pursuing the same goal. And our goal is clear and honest analyst. There are actually two controversial points of view on whether we should rely on a Non-Disclosure Agreement while creating an mobile application or it may be rather destructive for our project. Nevertheless, at the very beginning we have to find out the essence and notion of the NDA and only after that we are able to try to decide on the necessity of it for our development. That is why, in this short article we want to offer you some facts and ideas that were taken from our experience in order to make you familiar with the NDA and this way help you with the decision mentioned earlier. The first part we offer you to become acquainted with the most popular issues under discussion related with our topic. As you have understood, the NDA is a shortcut of Non-disclosure Agreement. In fact, it is available for anything which requires the care of its intellectual estate and copyrights. So it is clear that its priority and the only goal is taking care of your intellectual rights: ideas, secret tricks of profession and other private stuff, in order to prevent the leakof the information that may harm your business. Actually, the number of the candidates is quite huge. If understand widely, it is better for you to ratify the agreement with all who may be familiar with any kind of your private information while the process of your project creation. The members of your group. In case it’s team development, especially enterprises it is almost obligatory to ratify it with them. Such decision is like an empirical guideline because the NDA may save your idea by reducing a possibility of leaking and sharing your thoughts and ideas among those who are not working on them. Employed programmers. In our opinion this category without any doubts simply must ratify the agreement with you. 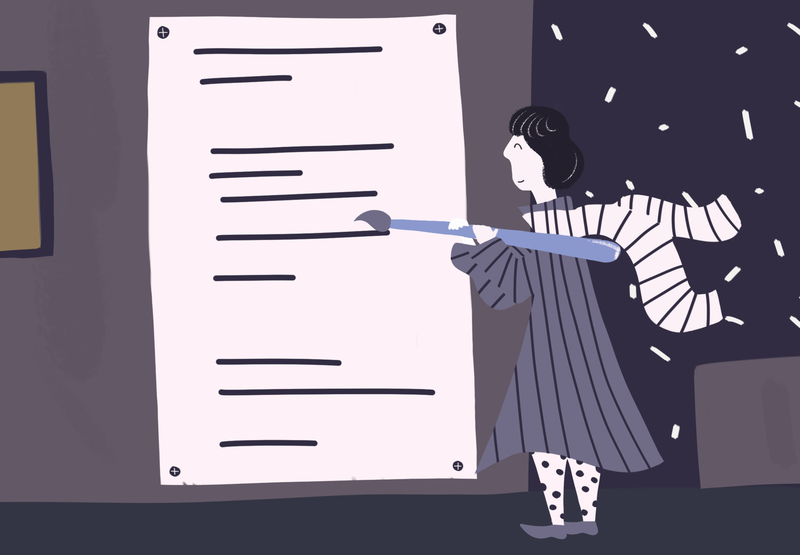 Moreover, keep it in mind that this agreement should protect some of your projects' secrets even after finishing it. Examination team. As soon as QA engineer gets an admission to your project, its specific features and innovative ideas, you should be aware of them as about the source of certain risk and ratify the NDA. All other members of your development group including web and mobile designers and so on. It is the same situation as with previous group. It is obligatory to ratify the Non-disclosure agreement with them directly after they became familiar with the essence of your project. There is no certain recommendation on what period to choose in order to ratify the NDA with their development team. So, remember! The really convenient moment is a few seconds when you just employ a team or a single developer, just after signing an offer with your new worker. Nevertheless, you may use another option, to ratify the agreement with an employee while interviewing him in case of some specific features of your project will be highlighted. Actually, despite it there is a possibility to create a pattern of mobile apps Non-disclosure agreement, it wasn’t created so you may formulate it by yourself. In most cases, different development organizations prepare their own patterns in accordance with their demands. In case some company really worries about its recommendation, credentials and professional fame, it may not prepare some booby traps in the pattern of the NDA they offer. Nevertheless, you are able to, moreover, you must check it and suggest your ideas and remarks or the whole pattern. In case you are a bit lazy, it is possible to use someone’s pattern as an example or even for ratifying. For example, you may use a pattern prepared by Stormotion. According to the lack of unified pattern of the Non-disclosure agreement, you have to be rather attentive while ratifying. There is no place for mistakes, so try to consider all necessary elements as accurately as possible. For that reason, below are some necessary information for your concideration while working on NDA. Specification with the secret information. 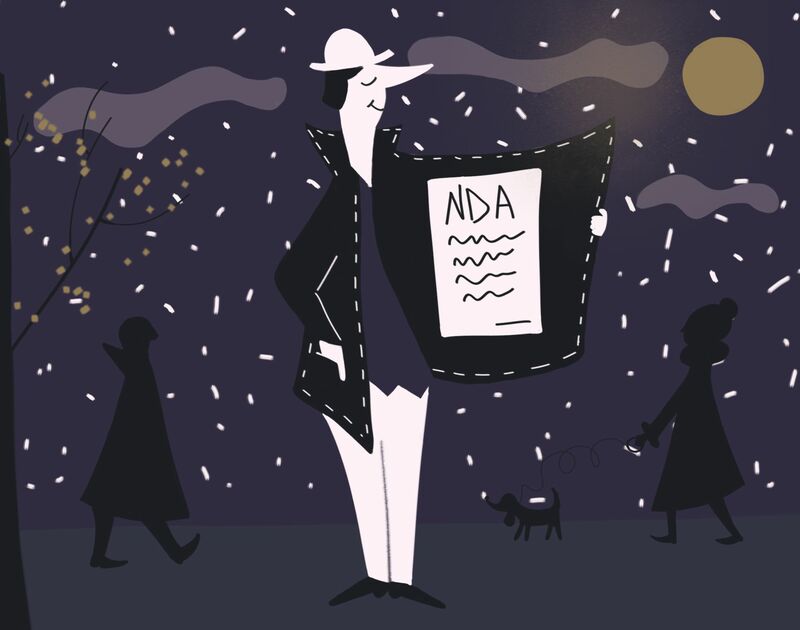 When you prepare your pattern of the NDA you have to highlight the certain list of information, secret features that should be kept private. Parties. You should define the possibility of different groups of your employees to share protected information (if so who is available to do it and under what circumstances). Especially you should do this for organization of the data sharing inside your team, between different groups of co-workers. A good illustration is the necessity for developers to share some technical specifications with QA Engineers. Timeframes. You also have to set the period of time while this agreement will be valid. Nevertheless, you should assign the workable one, usually no longer than 5-6 years but can be less. Forbidden usage of your private information. At this stage the allowance and forbiddance of confidential information usage should be determined. Remember, there can be a situation when such information may be requested by some governmental organization so, in that case it must be revealed to them. Your signers can not take responsibility for disclosure as it was on legal background. Competence sphere of authority. It’s also be a good idea to specify what court your petition will be addressed in case your Non-disclosure agreement is breached. Legal remedies. Here you should specify what fines may be taken in case someone of your signers decide to disclose your private information as well as possible solutions for handling the situation. Furthermore, try to keep in mind and specify who will take responsibility for some payments in case some litigation will be registered. Termination. And the last but not the least is the part where it is important to specify the ability to terminate the contract at any moment except the situation when it may violate the paragraphs of your contract or law. A piece of advice: try to avoid some huge amounts for fines like 100,000 euros for the abusing your Non-disclosure agreement for your mobile app development team. The most convenient decision is to declare that in such cases the amount of contribution will be decided based on law statements. There were a few clauses of your potential pattern of Non-disclosure agreement for your team of developers. Try to keep them in mind for your future NDA pattern. Hope now we have given all the required answers to your possible questions and now you are familiar enough with the NDA, so we may continue. Such sort of data is vital for surviving and protecting your practice and providing potential success of your idea. It can comprise various ideas, approaches or solutions, some marketing or organizing strategies, internal relationships of your work-group. In fact, the really fragile but vital data for you may be your marketing strategies and tactics. Nevertheless, a professionally prepared NDA for application development are able to save it from leakage and this way keep you competitive compared to those who haven’t ratified such Agreement. Trade strategies and tactics are not only things that you should protect from being stolen. A huge amount of different secret data which leak may be the reason of you became a bankrupt or some other issues will be shared among your employees. As an example, some confidential facts as logins and passwords, set of users, technical specifications of your devices in case of their leakage may lead to huge destructive consequences. And ratified NDA may be able to reduce the possibility of their embodiment. In case the most of your employees are freelancers or agencies, you simply have to ratify the Non-disclosure agreement for your project with them. It is essentially vital in case you work with a freelancer. He/she can easily get lost leaving the project unfinished without any warning. Moreover, it is rather tough to manage them, so such law aspects as the NDA may transform them into a little bit more responsive employees and is able to prevent such troubles. On the other hand, in case you deal with some agency, you may not face any problems. Why? First of all, such organizations usually worry about reputation and name. That is why they eager not to be involved in such problems. Secondly, such companies may even try to keep in secret their confidential data from the leak and different kinds of commercial espionage, so be ready to ratify an NDA for that purpose too. In case you are working under some project which may cause the whole revolution on the market you may need to turn on the Stealth Mode in order to keep it away from the publicity. Such thing is also implemented in accordance with some marketing tactics (in order to minimize the chance of opponents’ appearance). It is clear that any uninspected leak may lead to the total failure of whole marketing strategy. The best and most effective remedy from this is a professionally prepared Non-disclosure agreement for application development. Any leakage of your marketing tactics and strategies leads to the possibility when your idea is stolen and it may cause you a bankruptcy. So it is understandable that the NDA may also save financial resources. Therefore, ratifying is the very first thing to do in order to prevent such consequences. The European Unions’ General Data Protection Regulation is rather new standard of organization of the data security. This directive has almost totally replaced the old one, ratified in 95th. The new one has came into effect in the end of May, 2018 which means it is rather modern and covers almost all existing problems and different issues. How does it interact with an NDA? Due to the rules of the GDPR, you have an obligation to keep users confidential information hidden. 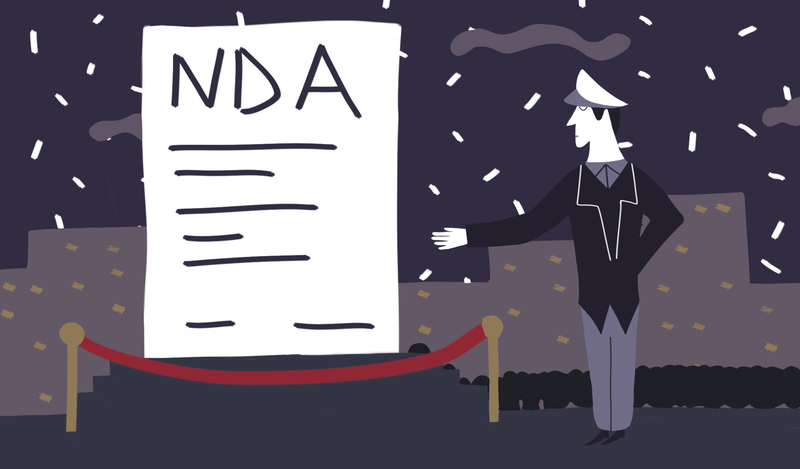 Moreover, your employees who also ratified the NDA have to follow the same rules as you. Now we really got familiar with the notion of Non-disclosure agreement and its mechanism. We also know that it is one of the most effective ways of protection your private information from the leak. Keep a possibility to abrogate the agreement at any legal and convenient moment. In case, you got left any questions or suggestions, feel free to contact us and we will assist you in any inquiry! In order to hit a market with a good and profitable app you should build an achievement-oriented application. NativeScript as a perfect tool for development angular mobile apps.